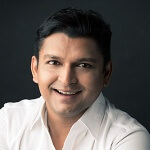 I interviewed Dean Shams who runs PR agency KinetiqBuzz for May 2016. I run a boutique PR agency, KinetiqBuzz that help businesses increase their profile in the media and online with branded contents. I have been doing this since 2005. My articles have been published in many newspapers and magazines in Singapore. In 2014, I started another company called Fluence for my corporate training arm. I specialise in training organisations in Assertiveness and Managing Difficult Conversations and Conflicts. I have run my courses in many organisations for their managers and leaders that was well received. 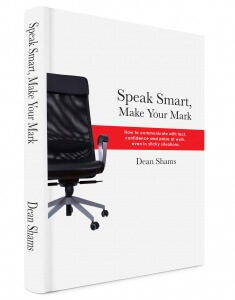 I have recently launched a book called Speak Smart, Make Your Mark that will help readers to consistently speak with poise and diplomacy at work even in sticky situations. I am glad that I got a lot of good feedback from readers. I welcome your connection on LinkedIn and Facebook. Just search for my name Dean Shams. I have always been fascinated with the art of persuasion and influence. When I took my certification course in NLP many years back, I realised how language can have such huge impact on how others perceive your message. That got me started in Public Relations where I had to use nothing but words to convince journalists to cover my clients’ stories. After about 10 years of this and training my clients to present themselves well in front of the media naturally led me to develop my workshops in assertiveness. I want to help people find their Strong Voice at work. By that I mean people will be able to relay their thoughts, ideas and opinions in a respectful and confident way. I think this is the path to less conflict and a happier work life. In a digital age, I want to make interpersonal communications more human again. 4) Any advice for others? A lot of the emotional stresses in ourselves come from the failure to communicate with others in more powerful yet empathetic ways. I want people to understand that you only need to make small changes to your communication habits to create a big difference in the quality of relationship you have with others. A lot of times there is a big gap between what we want to say and how we want to say it. That gap is where all the conflict lies. 5) What’s your immediate plans? I am currently developing a lot of content so that I can inspire people to pay more attention to the way they communicate and how it impacts the way they relate to others. Note: I have not vested interest or benefit from interviewing Dean Sharms. I am doing so in the pure intention to inspire more people.